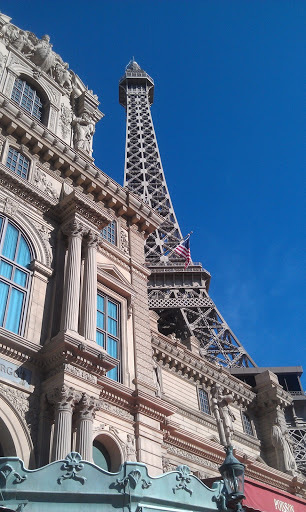 United States of America ~ New Series ~ Viva Las Vegas! Hi all! So I know it’s been a while, but uni has been crazy hectic with exams and the end of semester. But now we can talk again. Or you can read my ramblings about holidays that I’ve been on and decide whether you want to visit that place or if you want to keep reading what I’m writing! I’ve decided to do another series. I’m visiting Canada again on TUESDAY (OHMYGOSH SO CLOSE! AND I HAVEN’T PACKED! AAAAH!) so I might end up writing another blog about that in the near future complete with more photographs, because I have a better camera this time around and I won’t have to go hunting through external hard drives to try and find interesting photos! But in the meantime, I’m going to start this series about America. I haven’t finalised the order yet, but these are the places that I’ve been in America and at some stage throughout this blog I will cover them all! 4. The Hamptons (This is going to be a separate blog from NYC because it’s so awesome and it will include Montauk and there is just so much to write about! Yesss, I’ve been to a few places in the US and I can’t wait to share my experiences with you! These blogs will probably be spaced out with other blogs in between them, but feel free to comment what order you’d like me to do them in! When my fam and I visited Vegas, we stayed in Bill’s Gambling Hall & Saloon, but I’ve heard recently that that’s been renamed or remodelled or something. Basically, when we stayed there, in 2011, you didn’t really want to stay there for anything except for sleeping! 5am in the morning, ready to go to the Grand Canyon! 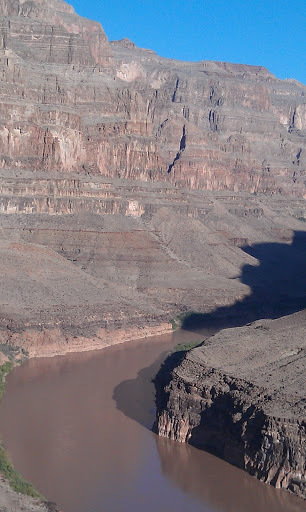 It was amazing flying over the Hoover Dam and the Grand Canyon was really awesome aswell! 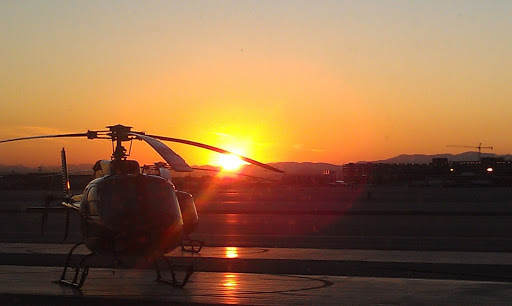 I love flying back in over the strip because you got to see all of the amazing, themed hotels from the air. Now I’ll have to cut what we did a bit, because otherwise this blog will end up way too long!! 1. Cirque du Soleil ~ Love (The Beatles). If you ever get a chance to see this show, do it! You will not regret it, especially if you love Beatles music. I had never seen a Cirque Du Soleil before, but I’ll definitely see another one now! 2. 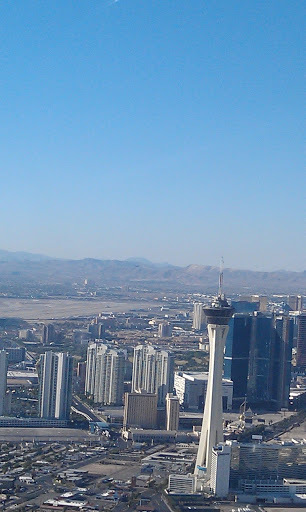 The Stratosphere. This building is…I think 108 stories? And on the top there are three rides! The one that we went on was like a giant drop, which raises you up on a pole even further above this building, and then drops you, and raises you again. It’s sooo much fun, but kinda scary seeing the city so far below you! As well, there is a revolving restaurant inside this building, which is a great place to have lunch! 3. 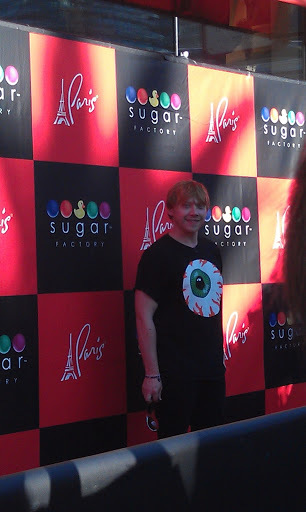 We saw Rupert Grint outside the Sugar Factory. Oh yeaaaah! 4. Oxygen Bar. Yeah, so basically, you pay money to put flavoured oxygen up your nose. It’s funner than it sounds, and definitely a good experience. Plus it smells really good and is really good for jetlag! 5. 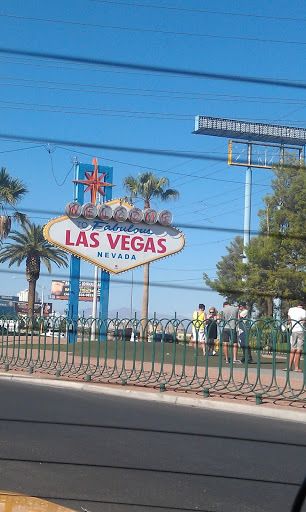 The Strip. 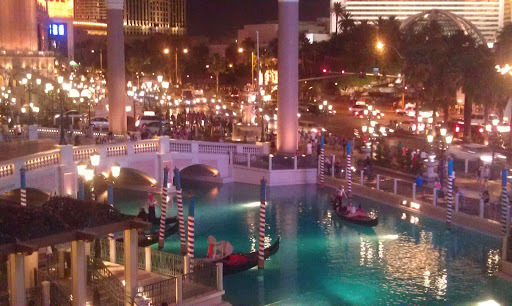 The strip is the main street of Vegas, and it’s so much fun to walk along at night and see all of the sights that Vegas has to offer. The only thing that I hated about Vegas was the people giving out cards which were basically selling strippers or prostitutes or something like that. Like seriously…Aaaaah so bad. 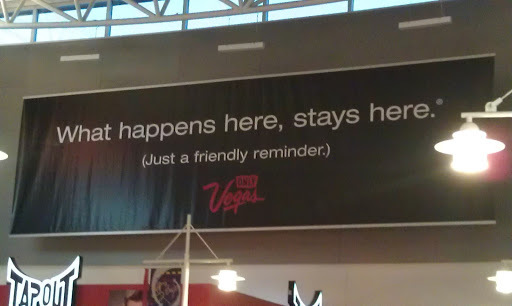 But really, if you want a really fun holiday, visit Vegas. There is so much to do and you don’t want to drink or gamble, it’s still so much fun! Next Coming soon! Me- Live from LAX!